Phone for a free colour brochure and price list, or download a copy from the links below the brochure cover at the bottom of this page. 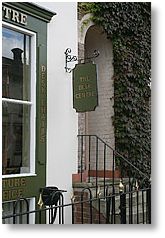 Located in Southampton’s Antique Quarter, with a good car park in front of the shop. 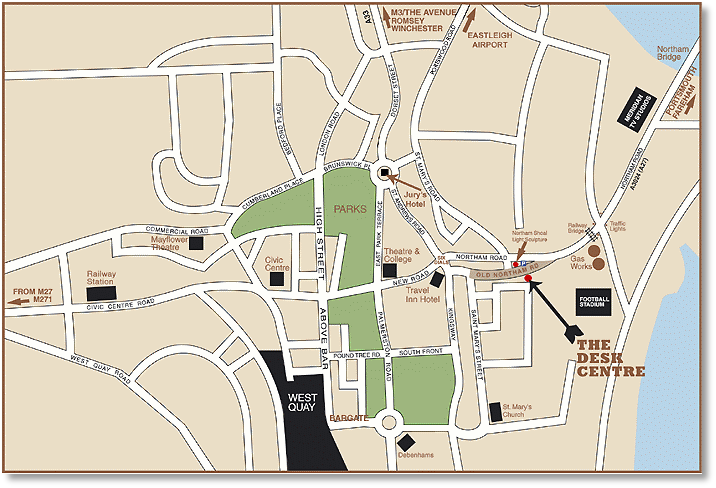 Only a mile from the Central Train Station and a short taxi drive from Eastleigh Airport. 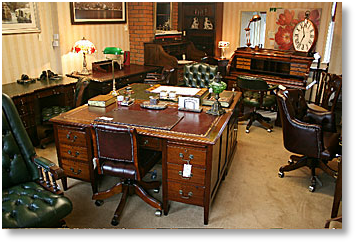 We now occupy three Victorian buildings with over seven showrooms to view. 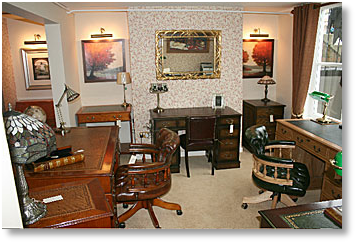 Over 250 pieces of furniture on display for immediate delivery, and a large selection of Prints, Mirrors and Desk Accessories. To place an order we require a 10% deposit, the balance being payable prior to delivery. If you would like us to post you a copy of our new catalogue, shown on the right, please email us on enquiries@thedeskcentre.co.uk with your address details, we will post one to you by return. 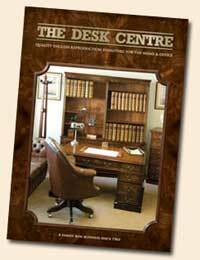 for all other desks and furniture, click here. 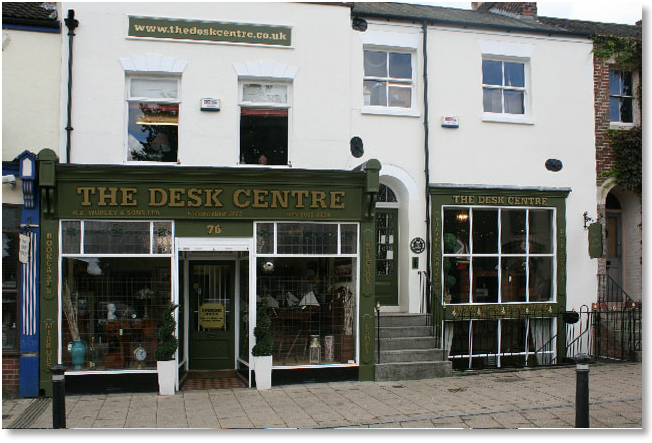 The Desk Centre is the trading name of A.E.Worley & Son Ltd. 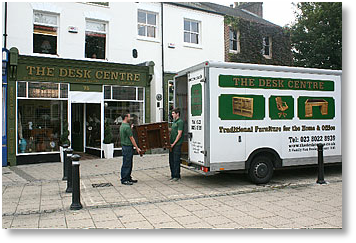 Using our own Vans, we offer a personal delivery service direct to your own home or office, Monday to Friday. Inside the M25 - Greater London From £49. Please add a further £10 for the central London Congestion Zone. We regularly ship to Europe and around the world via our local port of Southampton, or we can drop off the furniture to a designated shipping agent of your choice. We have many years experience in carefully wrapping our furniture and securing to wooden pallets, ensuring the goods arrive safely. 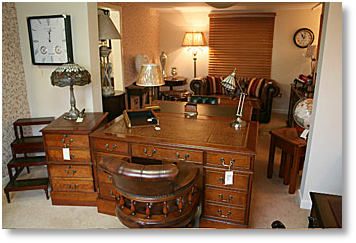 Furniture can be collected direct from our shop in Southampton. 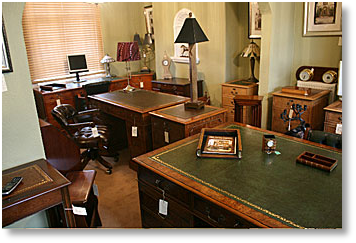 Most Desks for example, are made in sections and will fit into a good size estate car or SUV. 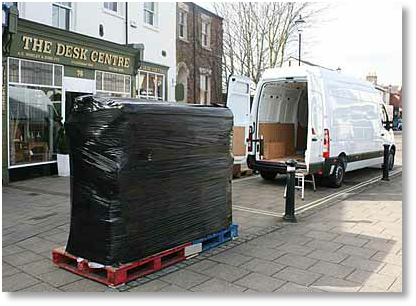 Pallet Deliveries can sometimes be quicker if we are not in your area for a while. We carefully wrap the furniture and secure to a wooden pallet. This is then delivered using a reliable courier company. The Pallet is delivered to the front of the property. The customer is then responsible for unwrapping the furniture and carrying the goods into the property. Please add a further £10 to the above delivery charges to cover wrapping materials.